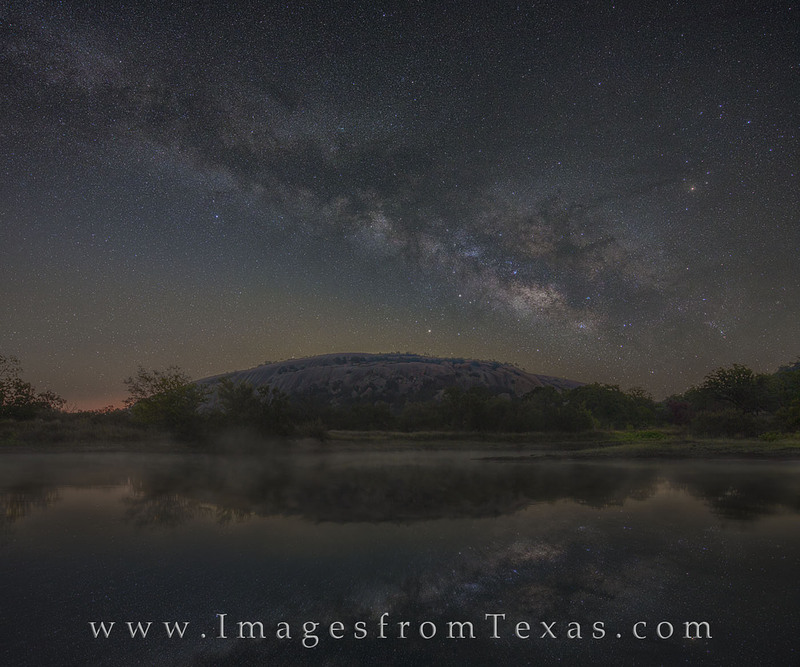 From Moss Lake in Spring, the Milky Way rises over Enchanted Rock in the early morning. The soft glow of sunrise is already beginning to appear even in this very early hour. The small lake on the west side of Enchanted rock was is smooth and calm - perfect for long exposures of the water and beautiful night sky over Texas. Photo © copyright by Rob Greebon.